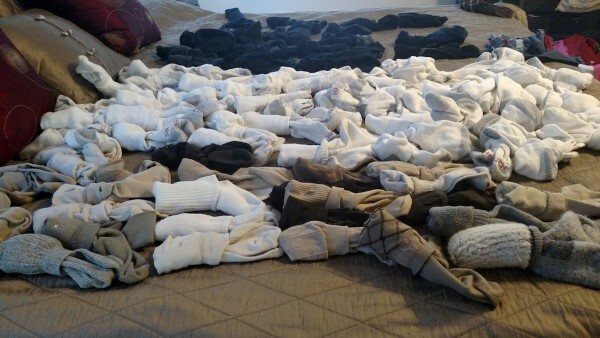 Photo 1: "Sea of Socks. This is on a king bed. Khakis, white, and black. This was 107 pair. BUT, I might add that THIS DID NOT INCLUDE DIRTY SOCKS OR UNMATED SOCKS. That would put us close to 160, I am guestimating." Photo 2: "Matt's "exciting" socks. Three pair. I like the "flashy" (for him) socks. But we have no room at the Sock Emporium for new styles." 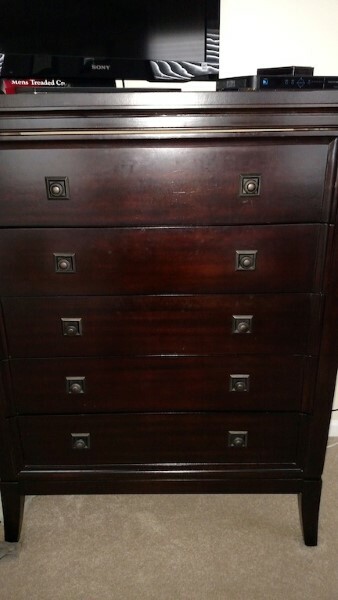 Photo 3: "Matt's dresser. Socks are shoved wherever they can fit. Along with old T-shirts and unmentionables he refuses to trash. He actually said, "I need a new dresser to fit all of my stuff." Photo 4: "Matt's laundry day. He does a fantastic job with folding and sorting. He is MUCH neater than I when it comes to folding and sorting. But look to the right. Close-up below." Photo 5: "His "refusal" pile." Photo 6: More refusals. He says these don't have mates. EXACTLY. Look at all of the khaki unmated. Photo 7: "​!!!!! Not-so-conservative socks. He gets a lot of compliments at work." 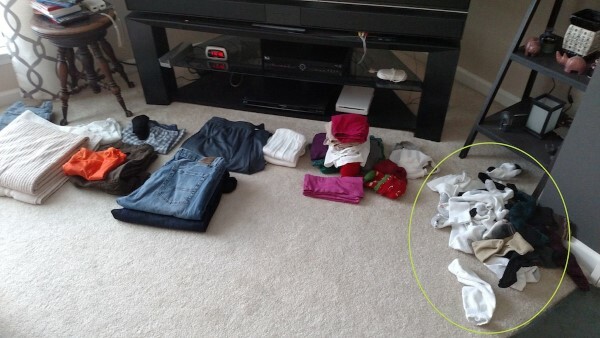 How do we find out how many socks Matt ended up sending to Jesse in the "sock bag"? The public has the right to know! Seriously, love your show. Thank you thank you for your humor and wisdom. Matt has NOT complied to any of the judge's orders! 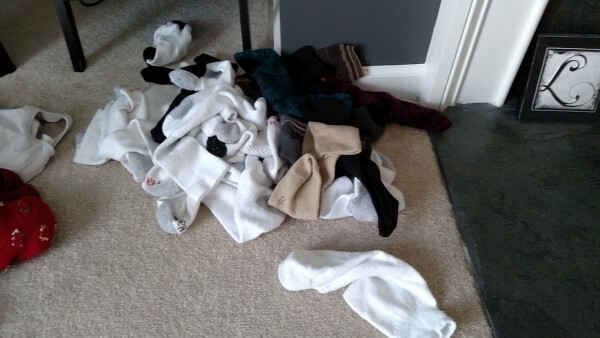 The only thing Matt has done is buy more socks, because they make him happy...I'm in sock hell, still. I loved listening to His Honor and Mr. Bailiff Sir banter about sock puns as if they did not enjoy them. I was on the edge of my steering wheel waiting for the pun that came to me... but you guys didn't say it. That guy has a sock monkey on his back! 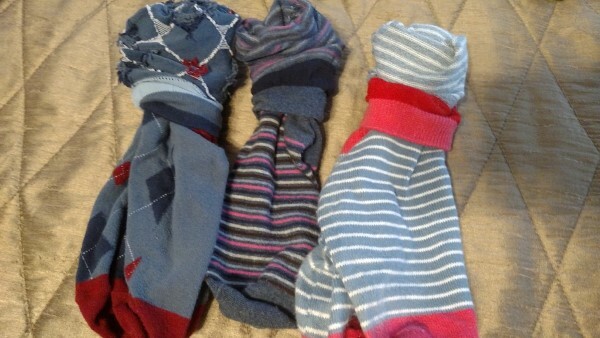 Many types of sock make great dustrags! I'm sure Monty is a very nice guy in person (kudos for supporting cancer research! ), but he seemed to me to be more abrasive and boring than Jesse. Can't they find a better substitute? I finally got the obscure pop culture reference! In re Hodgman, regional chips, et. al. Utz not bringing the cash? Make a call to Golden Flake HQ in Birmingham, Ala. -- 800-239-2447. They'll get you the hook-up. No such thing as too many socks! Poor Matt! Since I suffer from a sock problem myself, Matts predicament hit home. He needs to buy more unique socks and ditch as many pairs of the "plain" ones as possible. Socks should make you happy ! Leesa should start collecting fun underwear - just to be fair. I listened to the show on Friday evening (after hearing of Leonard Nemoy's death) and was struck by the uncanny coincidence that John made a reference to the Star Trek episode when Spock sacrifices himself for the good of mankind. Seems like the judge totally ignored what was said multiple times. He likes having a lot of socks so he doesn't have to do as much laundry. 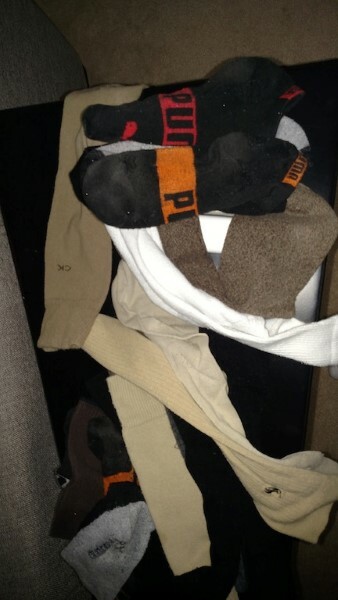 According to classic menswear tradition, socks should match the color of the pants OR be one shade DARKER. Not LIGHTER, as suggested by Monte. Ok, too many socks, fine, whatever, but I heard something in this program which literally terrifies me: nuclear plant operators work rotating shifts?! There are tons of studies out there that show how switching a person's sleep patterns negatively affects their cognitive function. Running a nuclear reactor strikes me as the sort of job where everybody ought to be on their A-game, not dealing with "I just couldn't sleep on my flight from Beijing, anyway, who wants to regulate some fusion?" I'm generally a proponent of nuclear power, but this seems like a strange policy in an environment with so many other high safety standards. If you want to be truly horrified, how about this- I was a nuclear reactor operator in the Navy like Matt. Depending on how short-staffed we were, our shifts might be 8 hours on, 8 off, repeat. Talk about screwing up circadian rhythms. And that is why I sell booze for a living now. 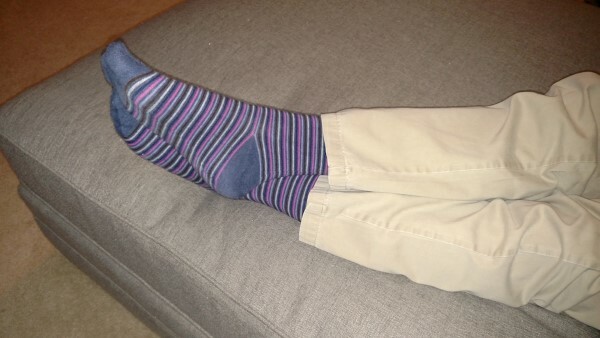 Matt should get some of those Portland Airport Carpet socks like those highlighted in the first episode of Rendered! Sounds like the guy has a real sock monkey on his back! Seriously, was the judge's sweatshirt for Jeppson's Malort? Apologies for buzz-marketing, but curiosity has gotten the better of me. Since wanted him to call it the "sock monkey on his back"
Accrue - a-crew - a crew sock. How many socks did Matt accrue.